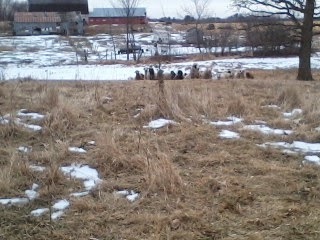 Ewespun Fiber Mill at Old Man Wool Farm: Oh, where, oh, where could those darn sheep be? Oh, where, oh, where could those darn sheep be? 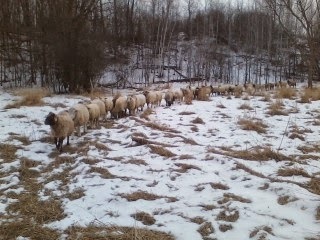 Foolishly, I opened the barn this morning and did not walk the sheep to the paddock and lock them in. They had been behaving for the last week and with a few lambs on the ground, I thought they would stay home. They have plenty of hay and I threw a nice green bale in the barn for them to munch on. But, alack, alas, when I went out later, they were no were to be spotted. 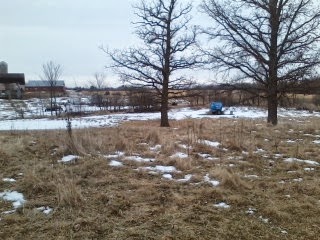 Just one lonely llama, uselessly guarding the hay feeder. 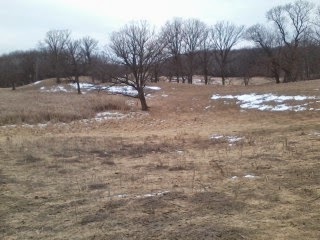 I looked out into the pasture toward the ridge: No sheep. 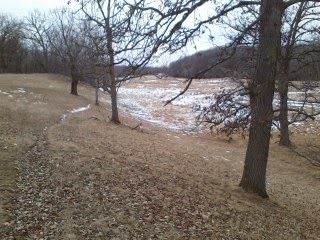 I walked to the top of the ridge and peered down into the swamp: No sheep. 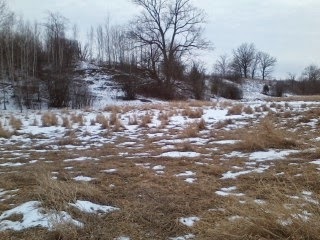 I descended the ridge into the swamp: No sheep. 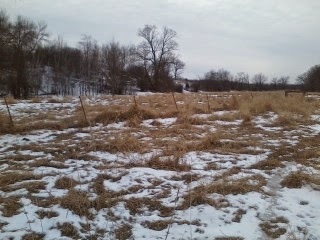 I crossed over the fence into the neighbor's swamp and looked to the ridge again: No sheep. I ascended the ridge and looked to the west: Finally sheep appearing as little dots in the distance. "Sheep," I called. And again, "Sheep." A few heads perked up and a few "baahs" responded. "Sheep. Sheep. Sheep," I called a few more times. They started toward my voice. 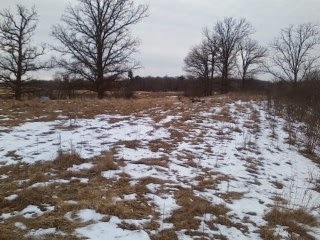 That is not my homestead but those are definitely my errant sheep. "Come on, Ladies," I told them, "Its time to go home. 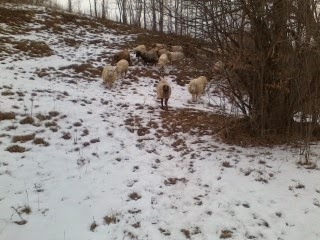 Leading the way, I descended the ridge into the swamp with a line of sheep trailing behind. Through the swamp and through the fence (I really wish someone--me--would repair the fence) and up the ridge. 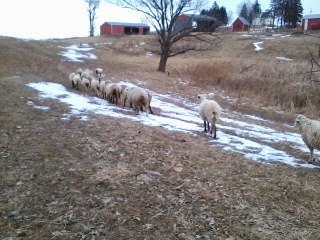 Finally, home is spotted and with some baahing, the sheep run past me. Home again; home again; lickety split. And locked in the paddock until later when they will be locked in the barn overnight. 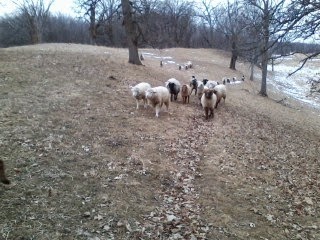 I do not know what fascination my sheep have with the neighboring homestead, but this is the third time in a month or so that I have had to go fetch them home. Yes, I feed my sheep. The neighbors do not feed my sheep. Guess its jail for them until we get a few feet of snow to curb their wandering spirits.